LG has launched the world’s first 8K OLED TVat IFA and it comes with a resolution of 7680 x 4320 and features an 88 inch display. This new 8K 88 inch OLED TV will be shown off at IFA this week, LG has not revealed any pricing details on it as yet, although we suspect it could be quite expensive. 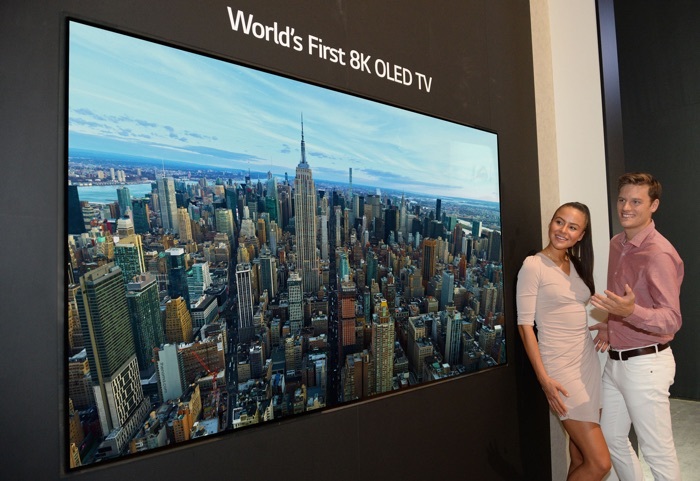 You can find out more details aout the new 8K OLED TV from LG over at LG’s website at the link below.